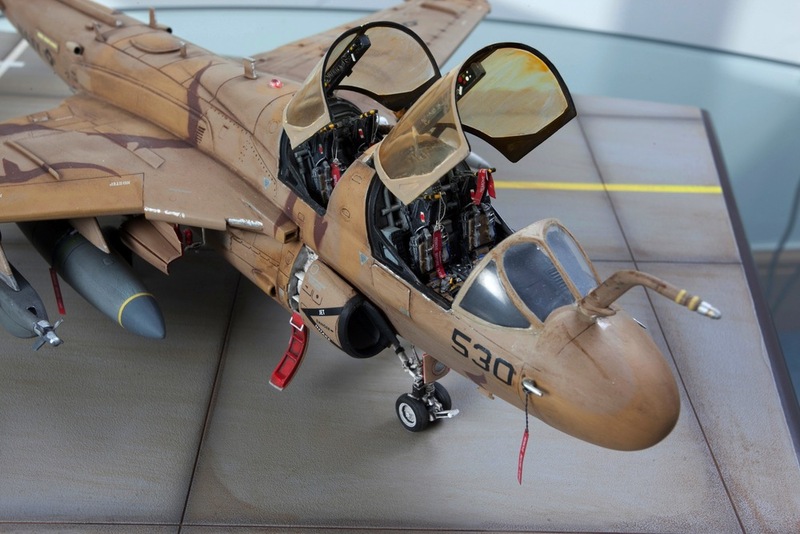 Italeri 1/48 Northrop Grumman EA-6B Prowler with Verlinden ejector seats. The first prototypes of the Grumman EA-6B Prowler were built in the late 1960s. Its lengthy operational service, which began in 1971 with the U.S. Navy, make it one of the most renowned electronic warfare aircraft in the History of flight. 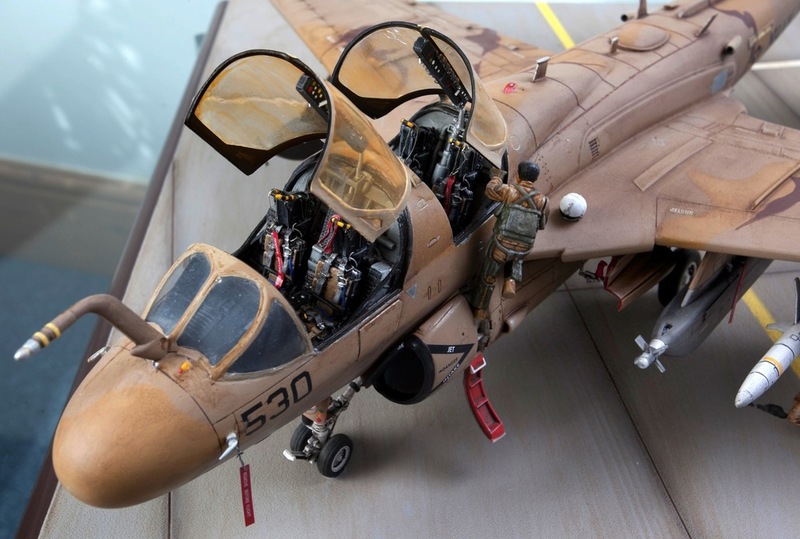 The "Prowler" derives from the A-6 Intruder, carrier-based, ground-attack aircraft, from which it acquires a large part of its fuselage and wing profile. The Prowler, however, is characterized by its configuration, which is dedicated to electronic warfare through the use of the large pod shaped fairing on the vertical fin and the side-by-side, twin cockpit layout. Today the EA-6B is in service with the US Navy, as well as with the Marines and the USAF. It took part in the more recent conflicts in Afghanistan, the Balkan peninsula and Iraq. In addition to its traditional roles of radar jamming and electronic warfare, the latest versions, equipped with AGM-88 Harm missiles, are also capable of performing strike missions on enemy air defenses.